Acquisition via a 1031 exchange, achieve key entitlements, procure a larger format retailer (Costco) and to either develop the site or sell the bundle of entitlements to the City of Ukiah. 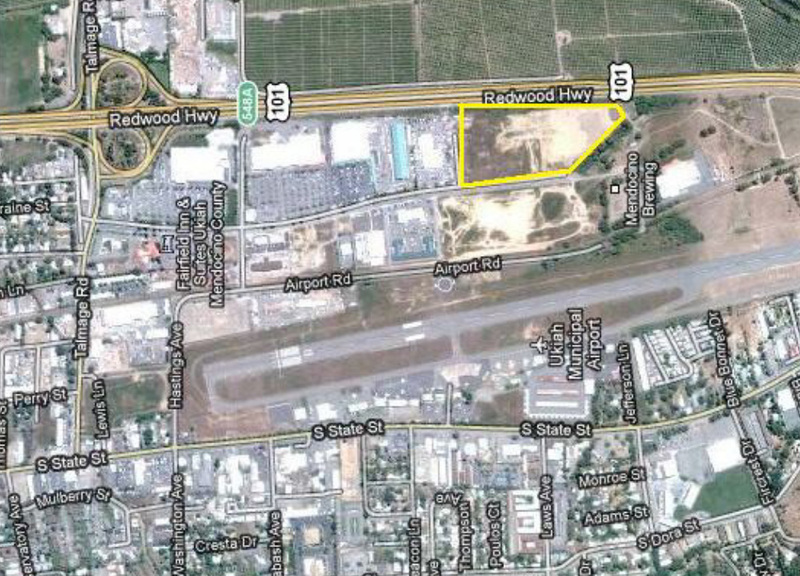 In 2007, Tallen Capital Partners (TCP) purchased 15 acres of “automotive zoned” land located directly on Highway 101 and Airport Park Boulevard in Ukiah, CA, a highly visible location at the Northern gateway to CA’s wine country. TCP went through the public entitlement process to change the permitted use from automotive retail to general retail/commercial and successfully completed the rezoning of the property in 2007, achieving a unanimous vote from the Ukiah City Council. The more comprehensive retail/mixed use rezoning immediately increased the property value by allowing for a variety of uses including retail, office, residential and industrial. All entitlement strategies and negotiations were performed by the principals of Tallen Capital Partners without outside legal counsel. The property subsequently appraised for an increased value of 150% of the original purchase price. TCP negotiated with a number of national credit tenants including: Kohl’s, Target, Best Buy, Costco, Gottschalks, Petco and others to bring these key uses to the City of Ukiah while aggressively competing against Developer’s Diversified planned redevelopment of the shuttered Masonite Industrial plant called Mendocino Crossings. Costco negotiated a letter of intent with Tallen Capital Partners for the property. Tallen Capital Partners overcame the competitive obstacles of the neighboring project and developed a number of compelling site plans involving assemblages of neighboring properties owned by both public and private stakeholders. The site plans and the value of our prospective retailers was a catalyst to the City of Ukiah to purchasing the property from TCP in 2009 at a substantial profit. TCP is pleased to have made a significant initial investment in the City of Ukiah and believes that the combination of the City’s leadership and TCP’s value creation expertise, market knowledge and retailer relationships will create significant long term value for the local community. The property was later sold to the City of Ukiah for a planned Costco development and TCP guided another 1031 exchange into a Walgreens in Albuquerque, NM at an enviable 7.65% going in cap rate. Upon the sale of the Ukiah project TCP entered into another Section 1031 exchange for the long-term deferment fo the tax liability and to maximize the return on the investment in the Ukiah property. The original business plan for the Costco development was formally approved by the City of Ukiah in 2017 and they plan to open in 2018.